Buying and selling any property can come with its share of headaches and up and downs, but what about when it comes to commercial property? Buying and selling commercial property can bring a whole new set of processes and procedures that you have to follow, and it is even more important that each step is achieved smoothly and accurately. In today’s economic climate, it can be hard to buy and maintain a successful commercial premises, but before you can even think about that aspect of your commercial property, you need to take the proper steps when looking to buy one. When first deciding to buy a commercial property, rather than rent one, it can be hard to know where to start, and having the expert advice of a commercial property specialist can be invaluable in helping things run smoothly. 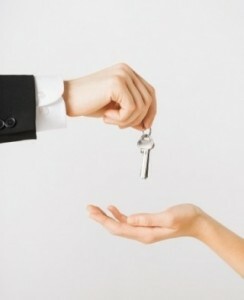 For example, when setting out to buy a commercial premises, you will need to obtain a commercial property mortgage. This offers a number of benefits, such as increasing the overall value of your assets, not being worried about rent increases, and the possibility of being able to rent your commercial property to other business if your mortgage terms allow. However, you should also be aware that a commercial property mortgage often requires a large deposit, and the value of your assets will suffer if property prices go down. Owning a commercial property will also mean that you will be responsible for health, safety, and maintenance, and it might make it more difficult for your business to relocate. When selling a commercial property, there are also a number of other issues that you will need to consider that are different from selling a domestic property. A buyer of commercial property will need a lot more information before they are happy, such as any development plans, local searches, asbestos surveys, planning permissions, environmental reports, ground reports, and much more. An experienced commercial property lawyer will be able to guide you through everything you need to consider from the start of proceedings, all the way through to the completion of sale. Starting with the Heads of Terms document that clearly lays out what both parties have agreed upon, through to the searches, any conditional planning permission, surveys and inspections, transferring of funds, and the final exchange of contracts. Sam Hawking Property Lawyers has vast experience in dealing with a variety of different commercial property transactions, whether it is an office building, a factory, a warehouse, a farm, or even land ready for a business development. Our property specialists are completely in-tune with the complexities and nuances of today’s commercial property market, and our clients have always found our advice and support invaluable when navigating the risky world of buying and selling commercial property.